Are you interested in exhibiting at IPM 2019? … Join our exhibitor mailing list today! We will send you a copy of the Exhibitor Handbook when it is available in late Spring 2019. Please send your company/organization name, contact name, mailing address, email and phone number to admin@plowingmatch.org. 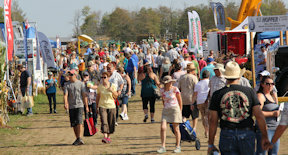 The IPM is the largest outdoor event of its kind in North America. Approximately 75 acres of fertile farmers’ fields are transformed into a Tented City with temporary streets, entertainment stages, a rodeo and other special features including antiques & heritage, education, lifestyles, quilting and regional exhibits. There is so much to see and do! Surrounding Tented City are hundreds of acres of free parking for visitors, an RV Park, and of course, the competitive Plowing Fields. Within a couple of weeks after the event, the land is returned to its original condition for growing crops again. For our expected 75,000+ visitors, we believe our exhibitors and corporate partners are the #1 attraction within Tented City. The IPM can provide great opportunities for companies and organizations to showcase their products and services. Our exhibitors include equipment and vehicle dealers/manufacturers, agricultural & rural service providers, agricultural & community non-profits, food vendors, artisans, home improvement and décor vendors, apparel suppliers, and more! For background, download last year’s exhibitor handbook for a good overview. There will be a few changes in 2019, but the 2018 handbook will provide information about what is included with your exhibitor space, rules and regulations, etc. Artisans, for background, download the 2018 Artisan and Quilt handbook. 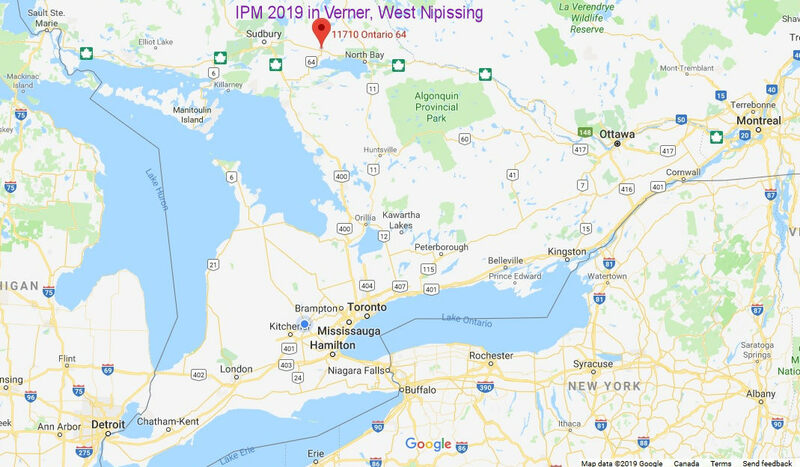 We look forward to welcoming you to IPM 2019! Get Directions from Google Maps by Clicking the Map Below.